One of my favorite types of food to eat is indian food. 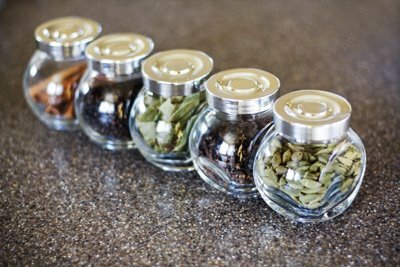 i love the beautiful variety of spices they use in their cooking, and the combination of flavors is always a delight. 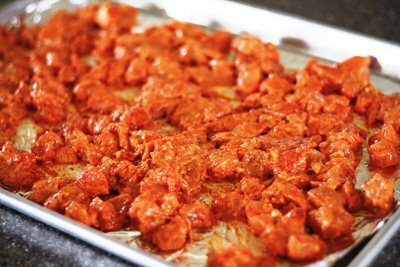 my favorite indian dish, hands down is chicken tikka masala. i love trying to re-create dishes from my favorite restaurants at home. of course my curiosity got the better of me, and i’ve been working to make my chicken tikka masala rival some of my favorite indian restaurants. and, i think i’ve just about got it! i’ve been perfecting this recipe for years, making little changes here and there. so, i am excited to share it with you! 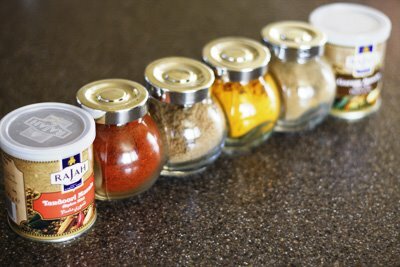 *pick up indian spices at your local indian grocery store. mix all the marinade ingredients with chicken, and marinade at least 2-24 hours in fridge. 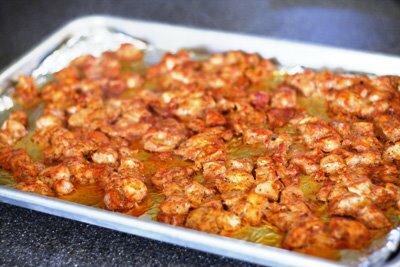 lay marinated chicken out on a sprayed or lined cookie sheet. place in oven, and bake for 20-25 minutes. while the chicken is baking, make the gravy. heat 1/3 cup of oil in a non-stick heavy bottom stock pot over medium heat. 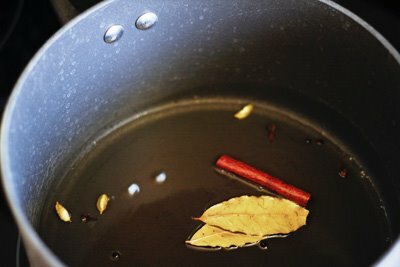 after the oil is heated, add the bay leaves, cardamoms, cloves, cinnamon stick, and peppercorns. cook for about 30 seconds. 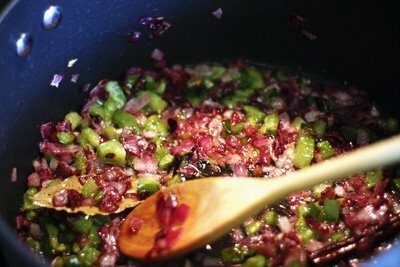 add onions and green peppers and fry until onions get translucent. about 10 minutes. then add ginger and garlic and fry for another couple of minutes. 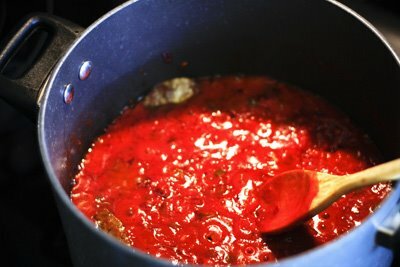 add the tomato puree and diced tomatoes. cook this mixture for another 10-15 minutes, stirring continuously until oil appears on the surface. add the ground coriander, cumin, garam masala, salt, cayenne pepper, brown sugar, and tumeric. fry for another minute. the chicken should be baked by now. add the baked chicken along with any juices from the sheet to the mixture along with the heavy cream and water. mix well and bring to a boil, then simmer for 10 minutes until the chicken is cooked through. 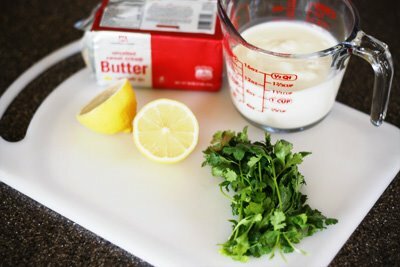 remove from heat and add cilantro [reserve some for garnish], butter, and lemon juice. check the thickness of the sauce. 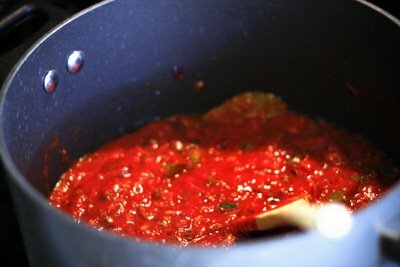 add water to make sauce thinner if desired. serve with hot basmati or jasmine rice. Adding it to my reader…can’t wait to see all the recipes. 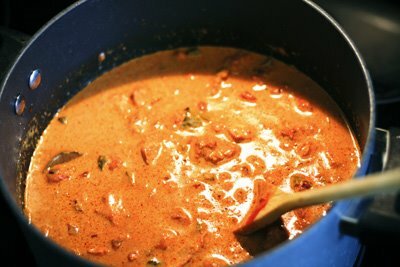 Thanks for sharing your chicken tikka masala recipe! It’s one of my faves when I eat out, but I’ve never tried to make it at home. Looks amazing! I’m going to add it to my list for sure! congratulations on this new project of yours. i still think it’s pretty cool you are a contributor to this blog. wow, that is a great compliment, don’t you think? i have to try that recipe, i love trying different types of food. thanks for always sharing the best stuff to make!!! I just kirtsy’d! I love the new blog. The recipes all look fabulous, and the pictures are beautiful! Good…….. No I should say very well. Blog really containing a meaningful information. Keep it up. Nice blog! These blog give more information .Its information very needful. Keep it up. What a great post I’ve enjoyed my time here!!! !